Today was rather full; full of running, family and sunshine. As such, I haven’t trolled through all my photos yet. These two, taken this afternoon at Cuckhold’s Cove, will have to suffice to whet your appetite. It turned out to be a beautiful sunny day and we took a spin in-between activities. 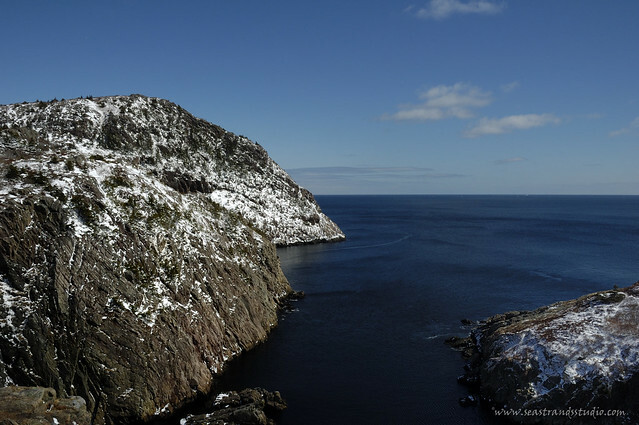 Cuckhold’s Cove Head is one of those places that you can visit within the City of St. John’s that is really, really dramatic. The trip to get there is quite a scramble and when you arrive, you’re standing on top of a blob of rock way up in the air right over the Atlantic Ocean. Part of the hike is more or less straight up, making it a challenge for some. I’ll have to head back again in the spring and get some pictures from the “summit”. 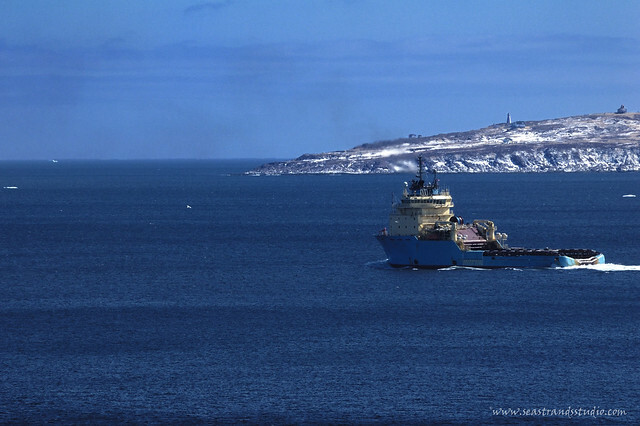 One of the ships leaving port, with Cape Spear and the lighthouses in the background.